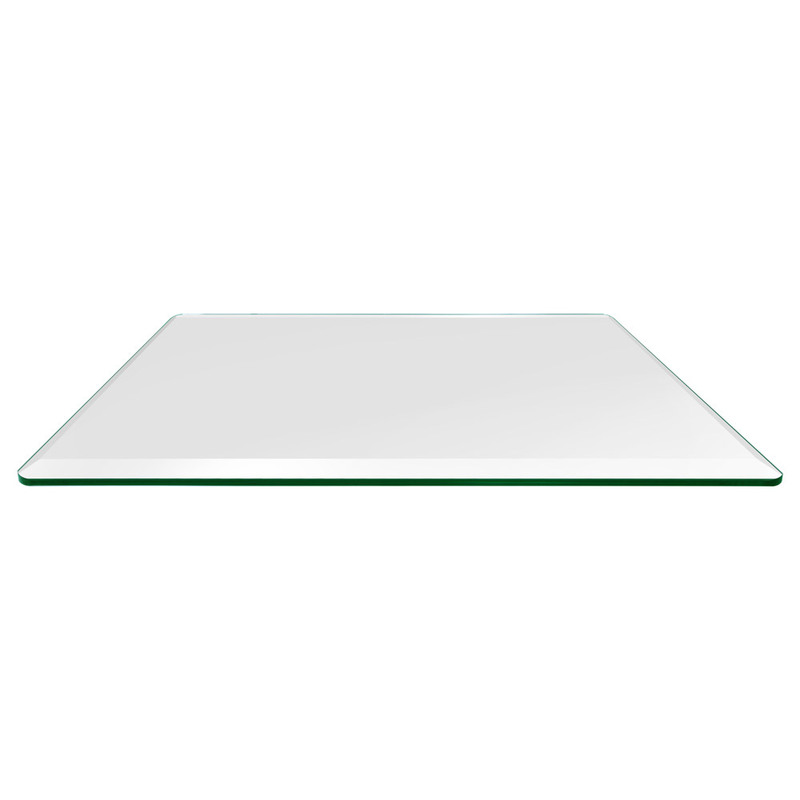 This beautiful 48" x 72" rectangle glass table top can be used as a table cover to protect surface of an existing table, desk, patio table, or coffee table. It can be placed on a pedestal to create an instant side table. The edges of the glass are 1" bevel polished to provide a sleek look. Radius Corner Finish: All four corners of the glass are finished with a 3/8" Radius (also known as rounded corners.) No sharp corners means that this is the safest corner fabrication available for glass table tops. This product ships to the 48 contiguous states only. Freight Service (Curbside Delivery) provides delivery made to the curb at the end of your driveway. It is not the drivers responsibility to bring freight into house, garage, etc. Drivers do not assist with unpacking, set-up or clean-up. Ships via freight service. Bevel Polished: In this application the edges of the glass are cut and bevel polished at 1", to provide a sleek look. This is normally used in places where the glass is a focal point in the room. Corner Finish: All four corners are cut and polished with a 3/8" or 1" radius corner also known as round corners. 1/4",3/8",1/2" Glass Thickness is normally used to cover an existing surface such as wood, metal, etc. 1/4" thickness should not be used to support weight.